What do you look for when you’re planning your next overseas trip? Reliable weather? 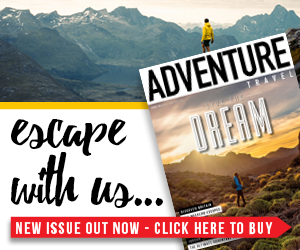 Adventures that leave you desperate for more? Stunning views? That’s what we all want, right? 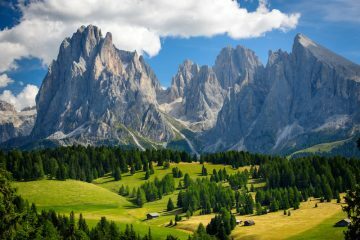 Well, the Dolomites of South Tyrol answer all of those questions with style. 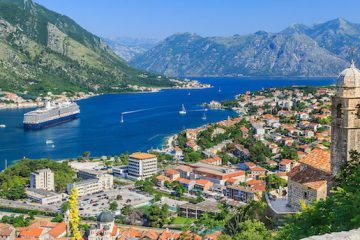 Italy’s northernmost region enjoys an enviable 300 sunny days per year and effortlessly mixes Mediterranean and alpine cultures together, combining fine food and wine with epic landscapes. Put simply, it serves as the ultimate backdrop for a week or two of adventure in the summer months. Plus, it’s easy to get to, with affordable flights landing in nearby Verona, Innsbruck and Venice throughout the week. Need a little more convincing? 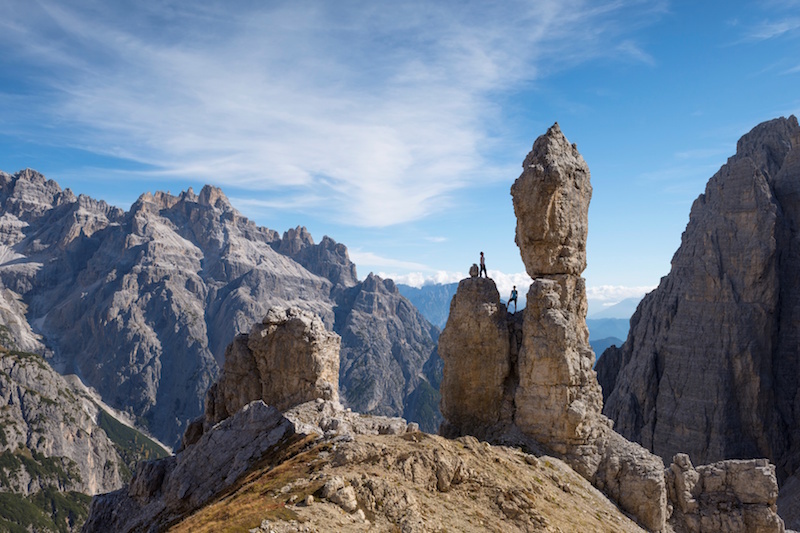 Well, we’ve pulled together a list of five incredible activities you can enjoy in the Three Peaks Dolomites region, and there’s plenty more where they came from. 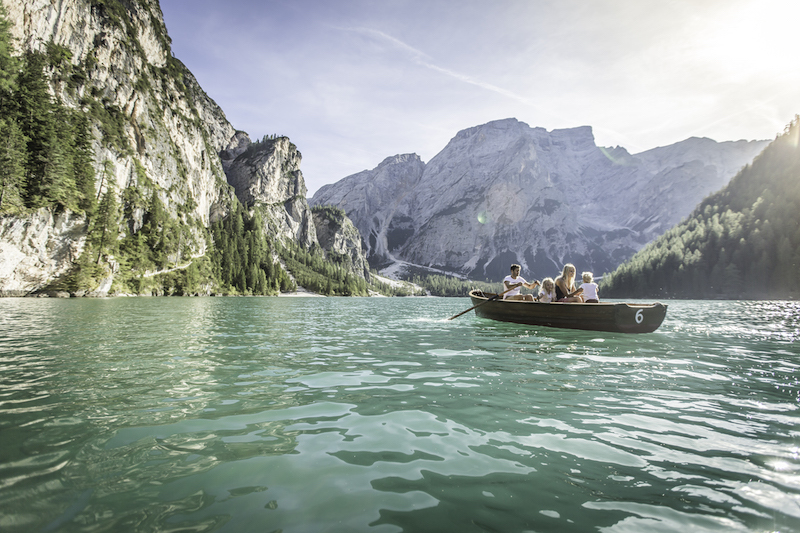 Lago di Braies (Lake Braies) is the largest natural lake in the Dolomites, and while big doesn’t always mean better, it’s a place you really won’t regret visiting on a trip to the Dolomites and South Tyrol. Nestled into the mountains at an altitude of 1,496m, the lake comes with an unrivalled setting. Catch it on a still day and the majestic alpine scenery that surrounds it can be seen reflected perfectly in its waters. Those that are made of tough stuff can brave the nippy waters for a refreshing swim, while those less inclined for a dip can rent one of the traditional rowing boats that rest on the lake’s shore. Up until recently, these boats had been the only way people could reach the southern shores of the lake. In the height of summer it can get quite busy at the lake, so we’d recommend rising early or arriving late in the day to make the most of it without the crowds. In doing so, you might also have the chance to view the lake in its best light at sunset or sunrise. There is also a walking route (2.2 miles; one hour) that enables you to circumnavigate the entire lake, giving you the opportunity to see it from many different angles. If you’re into photography at all, you’ll probably know about something called ‘golden hour’. Put simply, this is the time shortly after sunrise or just before sunset when the sun is low in the sky and casts a softer, warmer light over the landscape, enabling photographers to capture beautiful photos with the perfect light. But it’s not just for professional snappers. Golden hour is a great time to get out into the mountains, regardless of whether or not you intend to take a bunch of photos. This couldn’t be truer in the Dolomites, where such light turns an already jaw-dropping scene into one of unfathomable beauty. 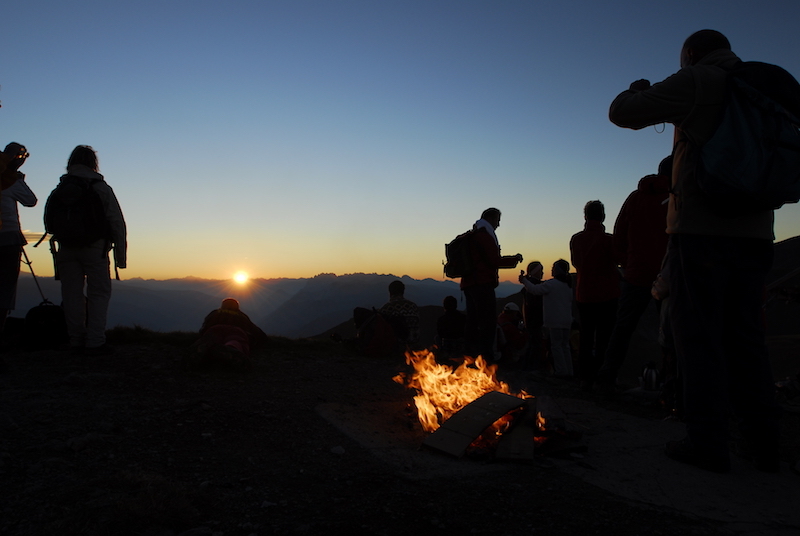 Take the Monte Elmo/Helm cable car from Sesto early one morning to the slopes of Monte Elmo (runs every Tuesday from 9 July to 10 September 2019), walk to the summit for sunrise and you’ll see what we mean. Nothing quite beats seeing that warm glow of morning light breaching the horizon and bathing all in front of it. Afterward, head into the Monte Elmo restaurant for a slap up breakfast, before jumping back into the cable car and descending to the valley where you can continue your day. 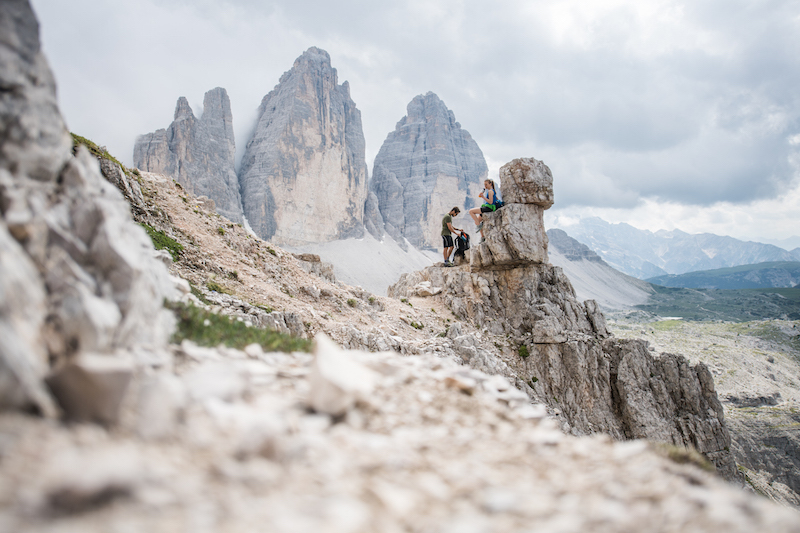 Ask those in the know about via ferrata and chances are they’ll be talking about the Dolomites in no time at all. The region has played a huge role in the growth in popularity of via ferratas, and the likes of the Three Peaks Dolomites is lucky enough to have several classics within its region. With that in mind, it would be crazy not to sample one or two of them while in the area. Fortunately, this is now even easier thanks to the formation of a project called ‘Dolomites Without Borders’. 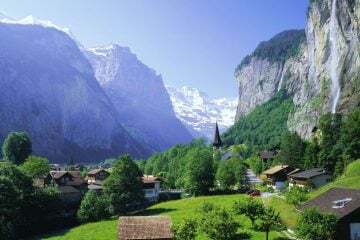 Essentially, it is a route that links 12 via ferratas together, with sections of hiking in between, allowing you to travel through the Dolomites all the way from within Austria. There are shelters along the route, allowing you to complete the entire thing in one go if desired. Of course, you can easily break it down into bite-size chunks, and several stunning stages can be found within the Three Peaks region, including stages three, four and five. These stages are all ranked at moderate difficulty, so as long as you have a decent level of fitness and a head for heights, you should be more than capable to tackle these. 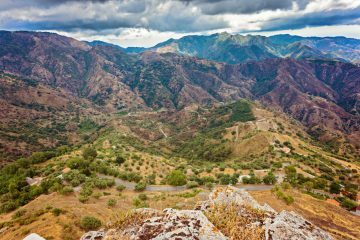 Take on these sections and you’ll be guaranteed some incredible via ferratas dating back to World War One, complete with wire bridges, airy ledges, and jaw-dropping views of the Three Peaks region. While we love moving through the mountains on foot, doing so on two wheels gives you the chance to cover more ground, take in more scenery and enjoy a different kind of thrill. 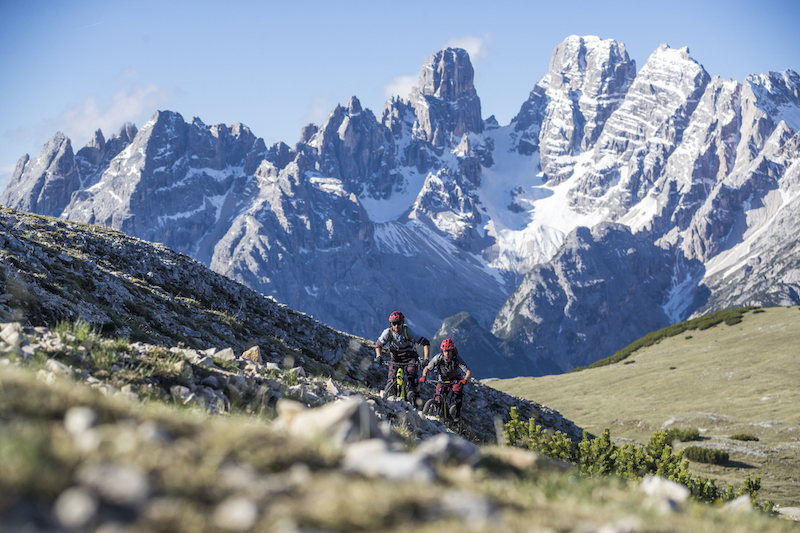 Fortunately, the Dolomites are covered with bike trails carving through the region in almost every direction. This couldn’t be more true in the Three Peaks area, where you’ll find some of South Tyrol’s greatest triumphs, with views that are surely hard to beat for natural beauty. 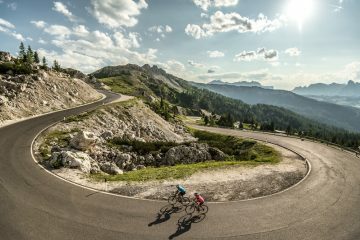 You can see some of the highlights on the official Three Peaks Dolomites website, which provides detailed route information, maps and incredible photo inspiration. The MTB tour was one that looked especially impressive to us, with sensational views over six miles of trails. You could dedicate a whole month in the Dolomites to walking and you still would have only scratched the surface of what the area has to offer. So how are you going to compress it down into a week or two over the summer months? Well, you’re going to have to prioritise, and one area you absolutely want to hit up is the Three Peaks region. Chief among the essential sights here are the three, distinctive towers of rock that give the area its name. 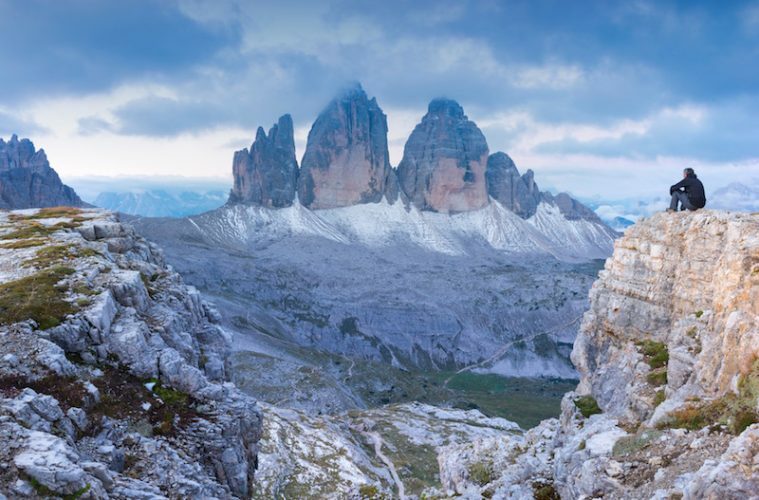 Known locally as the Tre Cime di Lavaredo or Drei Zinnen, these formidable granite pinnacles are one of the highlights of a visit to the area, delivering a breathtaking view that will live long in the memory. One beautiful but challenging walk worth considering starts from the Rienztal Valley near Dobbiaco/Toblach or from the Fischleintal Valley in Sesto/Sexten all the way to the Drei Zinnen Hut, which sits at an altitude of 2,438m. Here, you’ll be able to sample some delicious food while enjoying a remarkable view over the Three Peaks themselves. 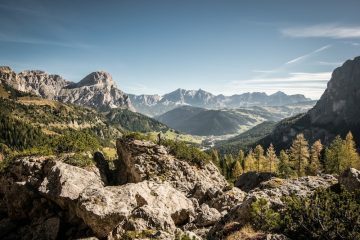 Of course, there are plenty of other hikes to choose from in the area, and you can find a pick of some of the most rewarding ones on the official Three Peaks Dolomites website.